Our Hoppier Place collection is an exploration into the magical and infinitely expandable world of hops. IPA lovers rejoice! We’re here to help you find your Hoppy Place! Comet and Ella hops combining to create a brilliant blend of tropical fruits, citrus and spice to astonish your taste buds. 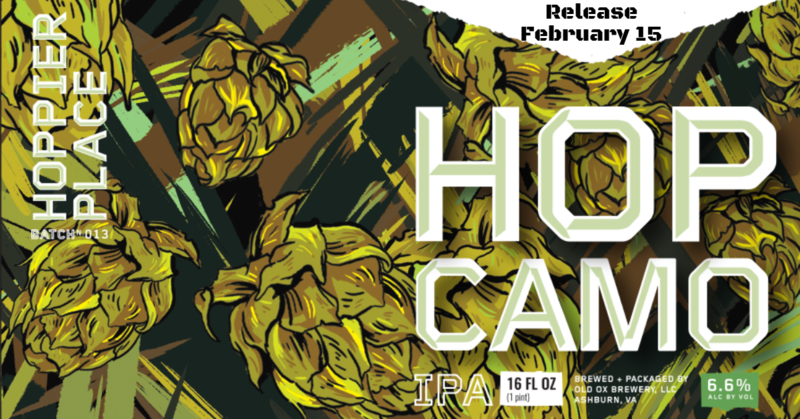 Join us Friday, February 15 at 2:30 PM for the newest Hoppier Place Release! Hop Camo is available on draft and in 16 oz. 4-packs. Come enjoy food from Phat Yummies and listen to Dirty Ed & the Collaborators starting at 6:30 PM.